Well, we are now waist deep into National Grilled Cheese Month and I have to say it's been a heck of an awesome April so far - grilled cheeses are a good omen in my book. I mean, life can't be THAT bad when you have a plate of creamy flavorful cheese in between two pieces of buttery toast, right? I've mentioned before that when I was a wee thing, I had a grilled cheese sandwich and a sliced up pear everyday during the summer while I sat in front of the TV "wondering" if Kevin Arnold was ever going to end up with Winnie Cooper. 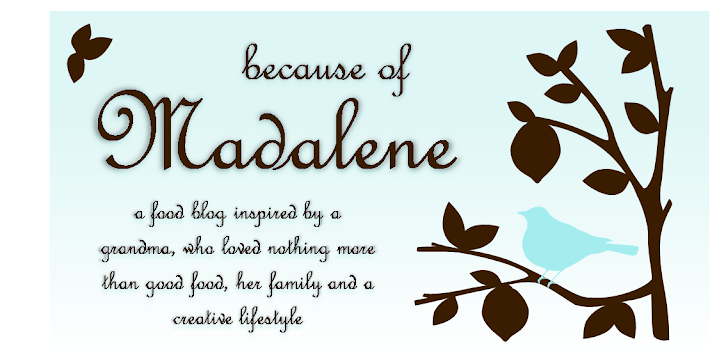 And all that was maybe slightly sad going on in my life like misplacing my favorite blanket or breaking my favorite sky blue crayon all went away when my mom put that simple yet wonderful grilled cheese sandwich in front of me. Of course, back then I would have never thought in a zillion years to put the pear inside my sandwich, but today it's an absolute must. It gives the classic grilled cheese a sweet and savory twist that excites your pallet. 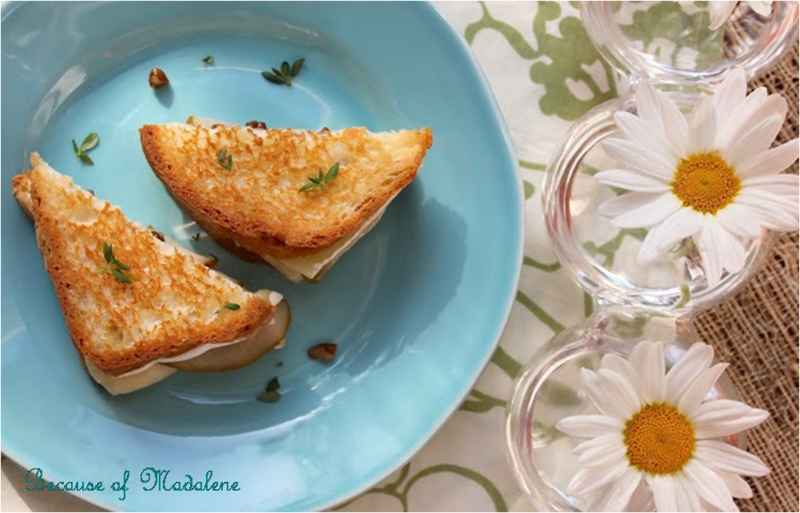 And pair it with some thyme and pecans and you've got yourself a delicious combo of nutty and herby flavors that complement the creamy brie and sweet pear beautifully. And the best part, you can still reminisce about your childhood grilled cheese days without having to feel like a kid when eating this one. In a small sauce pan over medium heat, melt the 1 tbsp of butter, throw in the slices of pear, chopped pecans and thyme. Let cook for about 15 mins, until the pears have softened, stir every couple of mins. Remove from heat. Butter your bread for a golden crust and start layering in a pan over low-medium heat - bread, brie, pear mixture (get all those pecan and thyme morsels in! ), more brie and bread. 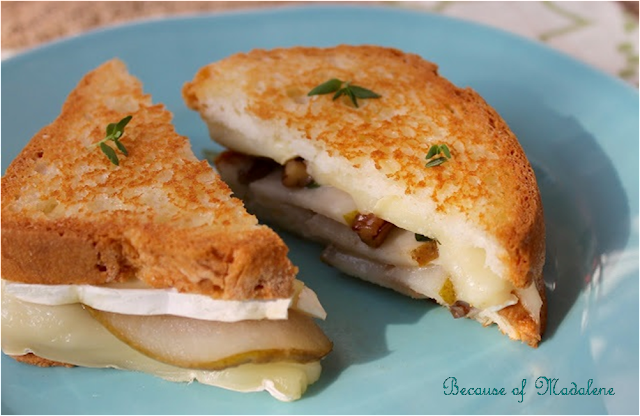 Let each side cook for about 5 mins to allow the brie enough time to melt, but don't burn the bread! Lower the heat if the crust is getting too brown too quickly. Slice in half, plate and enjoy! oh, that looks yummy. Grilled cheese is one of my favorite comfort foods!